Part 2 of our discussion about the Enneagram is comin’ at you hot! In this episode, we dig into the Ego Self versus the True Self, share stories of how the Enneagram has impacted our lives and relationships, and all out geek out over this personality typing system we’re obsessed with. We’re once again referencing the great book by Don Riso and Russ Hudson, The Wisdom of the Enneagram. Check it out, friends! You can listen above or on Spotify, iTunes, or Stitcher. You can also listen in your favorite podcasting app by subscribing here (subscription available on mobile devices only). Well friends- the day is here. We’re finally digging into the ever-elusive Enneagram. In this episode, Nic, Mere, and special guest (Nic’s mom, Barbara) talk all things Enneagram. Throughout this conversation, we use learnings from the book The Wisdom of the Enneagram, which we’ve all found incredibly helpful in understanding this transformative model. It was written by two Enneagram experts, Don Riso and Russ Hudson, which you will hear referenced throughout the podcast. We think you’ll love this conversation and hope it inspires you to do more work with this sacred personality typing system. It is seriously game changing. We’re back, friends! On this episode of the Room For Both Podcast, Mere shares her wildly honest journey of the unearthing that has been her spiritual deconstruction. It’s rich and raw and full of insight and encouragement that even as faith structures fall, there can be hope and beauty in the aftermath. As evidenced by the title, this is Part 1 of our discussion about spiritual deconstruction. We're sharing our experiences of breaking faith structures, who has helped us navigate the waters, and some things we've learned along the way. Nic’s up first and tells us how her relationship with God, the church, and her understanding of the Holy has transformed over the last several years, as she's found herself at the intersection of conflicting messages, difficult circumstances, and a faith that continues to beckon her. If you've ever experienced a deconstruction of faith of your own (or if you're wondering what this deconstruction thing is all about) we hope to break it down and keep it real! In this episode, we reflect on what we would tell our 20, 25, and 30 year old selves. From prioritizing community, to no longer "suffocating from the shoulds," and extending grace to ourselves for the journey we're on, this is a discussion to which we hope many of you can connect and relate. In this episode, we unpack the Families Belong Together rally we attended in Denver. As we processed our experience, the conversation quickly transitioned to a dialogue about the impact of dehumanizing the ‘other side’ and how it chips away at our common humanity. We also unpack how we can hold space for curiosity toward ourselves and others. In this episode of the Room For Both Podcast, we conclude our conversation with Sarah Jackson of Casa de Paz, an organization that supports immigrants who have been detained or whose family members have been detained. This discussion helped us connect with the topic of immigration less at an issue level and more at a human level; we hope it does the same for you. In this episode of the Room For Both Podcast, we chat with Sarah Jackson, founder of Casa de Paz and host/friend/advocate to thousands of immigrants who have been detained in the United States. The Casa's mission is simple: Ease the isolating experience of immigrant detention one simple act of love at a time. We had such a rich conversation with Sarah that we've split this discussion into two parts. Join us this time as we learn where Sarah got the idea to start Casa de Paz, who she's met along the way, and what she hopes we can all walk away from this discussion understanding about immigration. Episode #1: Have you been Brenéd?! 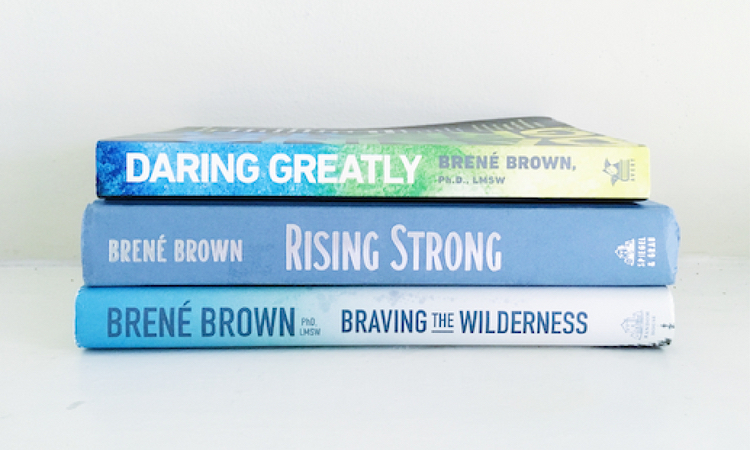 In this episode of the Room For Both Podcast, we chat all things Brené Brown. From the takeaways we've gained through her books, to the perks (and challenges) of being vulnerable, we explain why we're so into this shame researcher from Texas and how her principles have made our lives and relationships richer. You'll also hear a bit more about why we started this podcast, as well as some products we're currently LOVING. Thanks for listening- more episodes coming your way soon! Also, did we mention we're STOKED you're here? We'd love to keep the conversation going and hear what's resonating with you. Leave us a comment at the bottom of an episode's show notes, send us an email, or drop us a line on Instagram. If you're a listener who prefers to take in the podcast in smaller snippets (rather than full episodes) we've got you covered! Listen to the most recent Shoot The Breeze, Processing Out Loud, and Yes-And segments here.